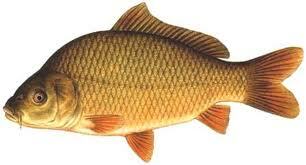 The carp is by far Britian's most popular species. It graces almost every single stillwater and has found its way into almost every river and canal. Carp can even be found in the infamous Norfolk Broads system too. It is a fabulous species that, when small, provides great year-round sport. But when they have grown on and packed on the pounds, they offer a real challenge to those anglers who are prepared to sit it out and wait for a specimen to come along. Carp originated from Eastern Europe and Asia, when monks brought them into this country to rear in stew ponds for the table. They grew quickly in these small, food-rich ponds and therefore provided a reliable year-round food source many moons ago.